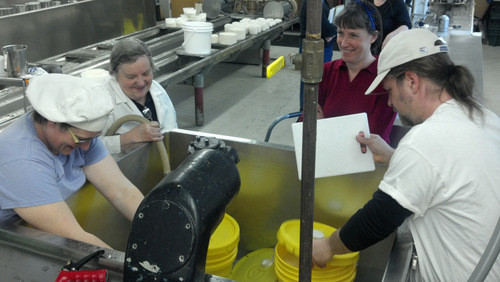 The British Blue Cheese Workshop led by Kathy Biss from West Highland Dairy in Scotland took place last weekend and the participating Guild members all took a lot away from it — information as well as workshop cheese that they will now age! 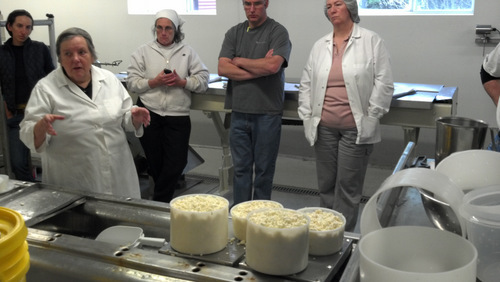 The first two are made with scalded curd for a firmer texture, more mechanical holes, and longer aging potential. The last two have a much higher moisture content, and the Lymeswold actually incorporates a bloomy rind with the blue interior, though it will age no more than four to six weeks. The contrast between all of these recipes provided and excellent background on what is needed to adapt any recipe to a blue recipe, and how to work with Penicillium roqueforti, which digests the milk fats for its distinctive flavors, but requires oxygen to grow. That’s why piercing cheese wheels is necessary to allow blue to grow inside. 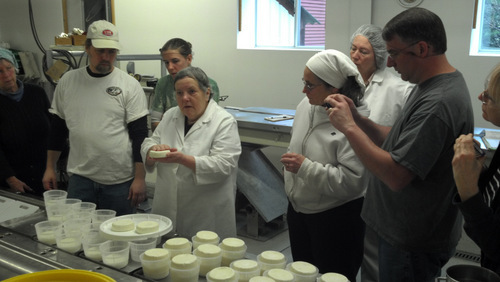 As with any workshop, much of the information applied to cheese making of all kinds, and most importantly what to do when your make isn’t progressing the way you would like. In this case we needed to re-warm the buckets in which we were making the Strathdon Blue on the second day because the acid was not developing, which was evident because the curd was slow to reach the right texture. 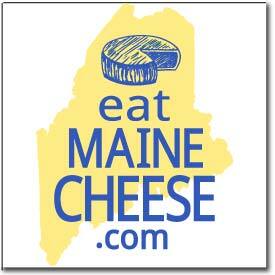 Overall a great experience for Maine (and beyond Maine) cheese makers. 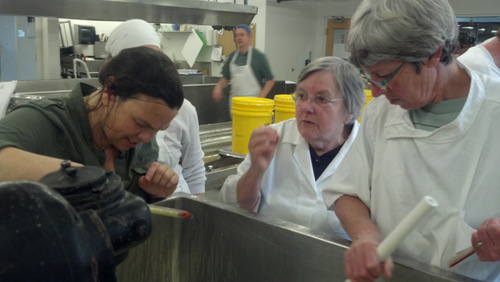 Kathy Biss will return the following weekend to lead a workshop on making Hard British Cheeses. Posted in Events, Guild, Learning and tagged blue, workshops.